Sanrio’s flagship store was re-opened in late October 2009 with the largest selection of Sanrio goods in Japan, amassing all the Sanrio characters together in one epicentre of saccharine cuteness. 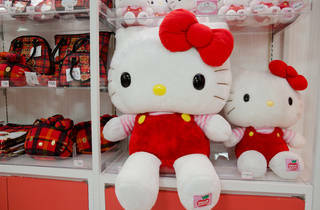 A statue of Hello Kitty standing on a white globe greets shoppers, and the store is systematically divided into five zones with seven distinct categories including a Hello Kitty Store, and Kiki and Lala themed boutiques modelled on the characters Little Twin Stars. 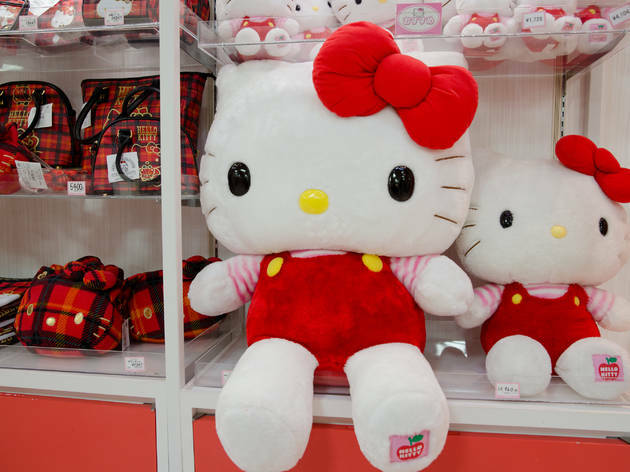 The store stocks a staggering 10,000 items – perfect if you’re looking for that special Sanrio gift, but be careful you don’t get overloaded with the sweetness.